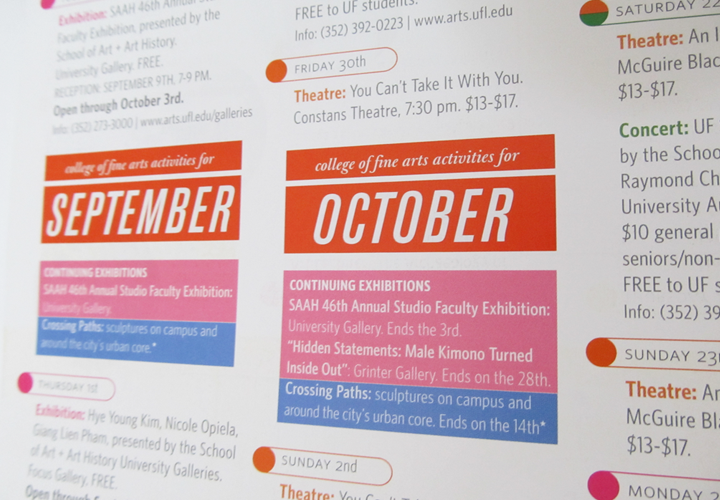 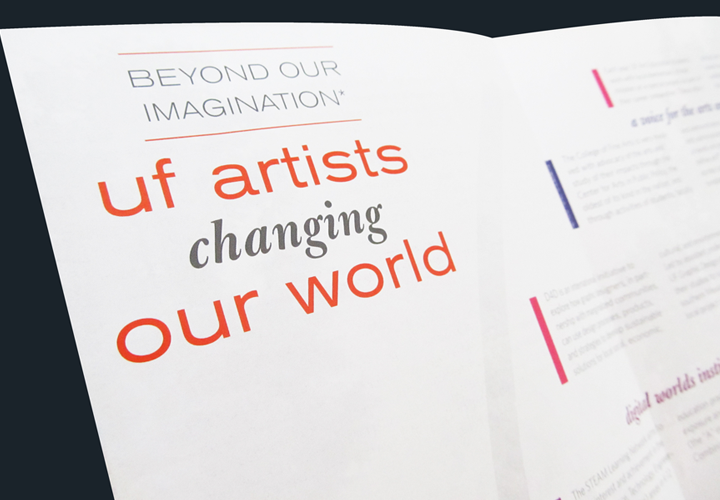 Every semester, the College of Fine Arts at the University of Florida develops and distributes a brochure with its schools’ activities, including exhibitions, concerts, and plays. 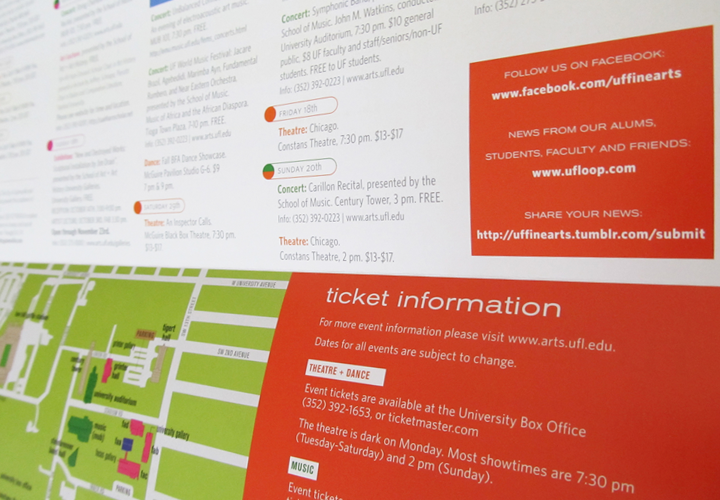 The format of this calendar always offers a great opportunity to inform alumni and the whole arts community about issues usually related to students and faculty. 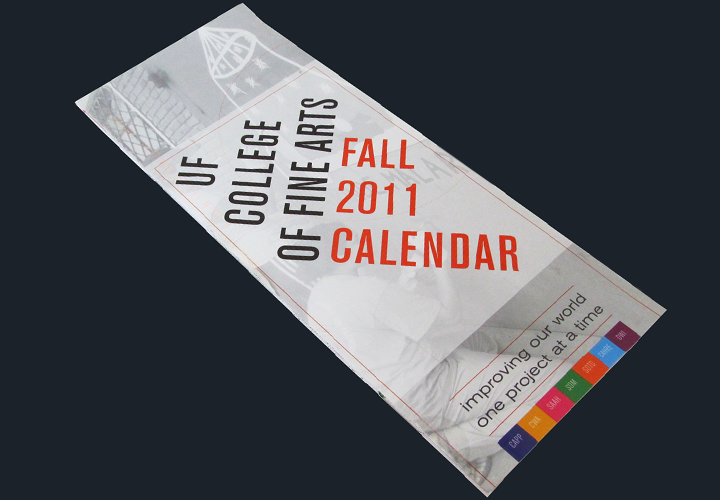 I designed the calendar for Fall 2011, intended to reflect some of the most important social and community projects and services developed in the different schools and centers of the college in the last months. 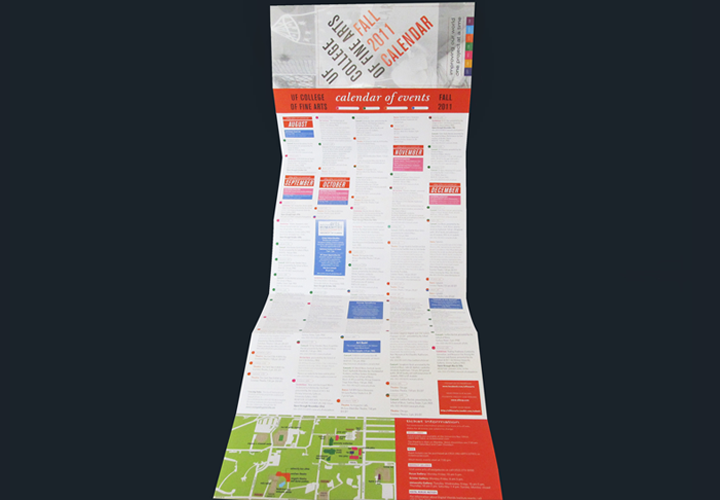 The calendar works as poster on one side and calendar on the other. 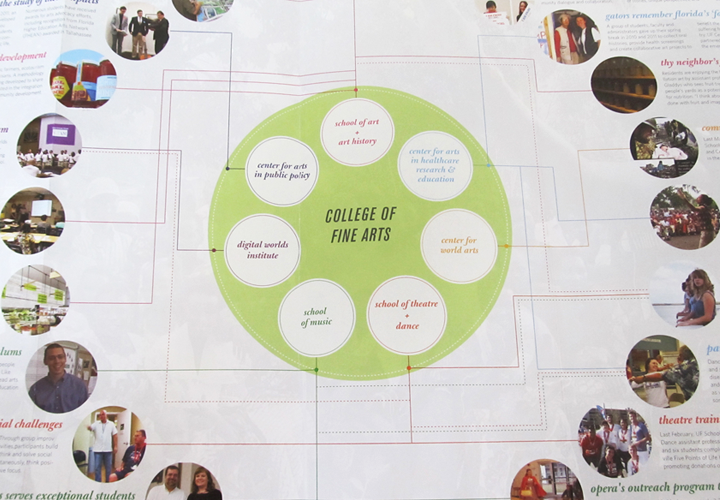 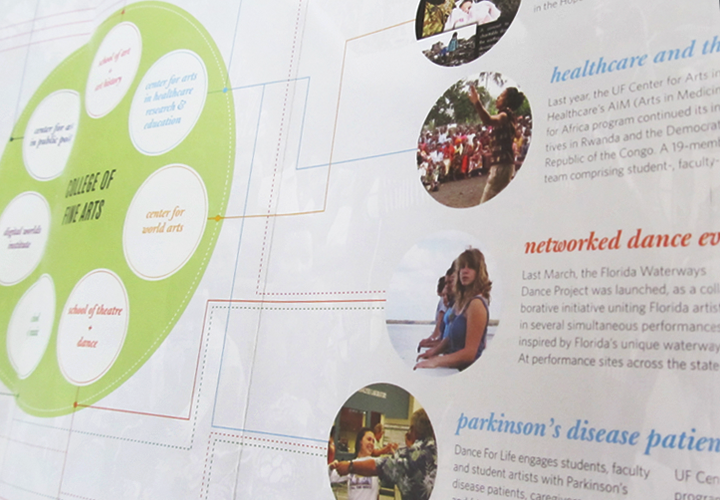 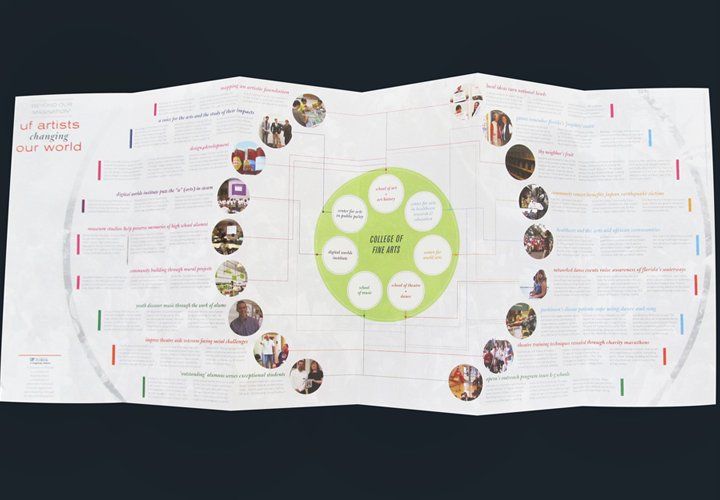 The poster side presents an infographic showing the projects and how they relate with each other and the different departments of the college. 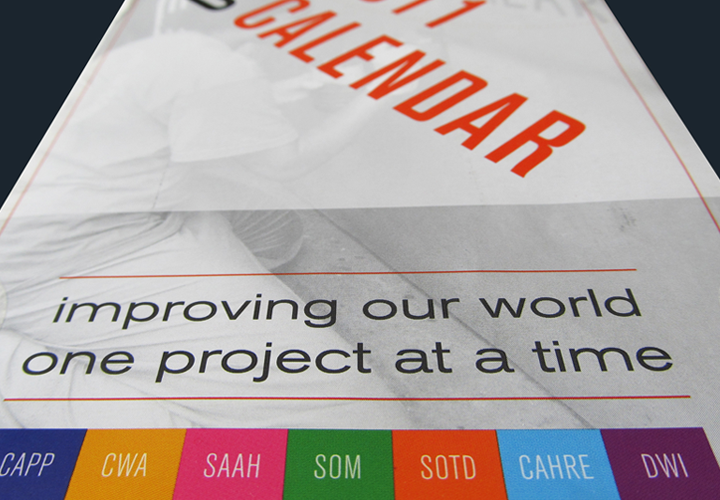 On the calendar side, the information was restructured and organized by date, instead of by activity.